If you are applying to any university in Poland, you need to meet certain requirements. And each University has its own requirements in Poland. So in proof of having all the requirements to get Admission in Poland Universities, you need to send some set of documents while applying to any University in Poland, which is called as the Checklist for Poland. Then the University will check your profile and will grant the offer letter if you have met all the requirements to pursue in their institution. If you have not met any requirements then your application will be rejected. So, you should take care about the documents you need to send to University. 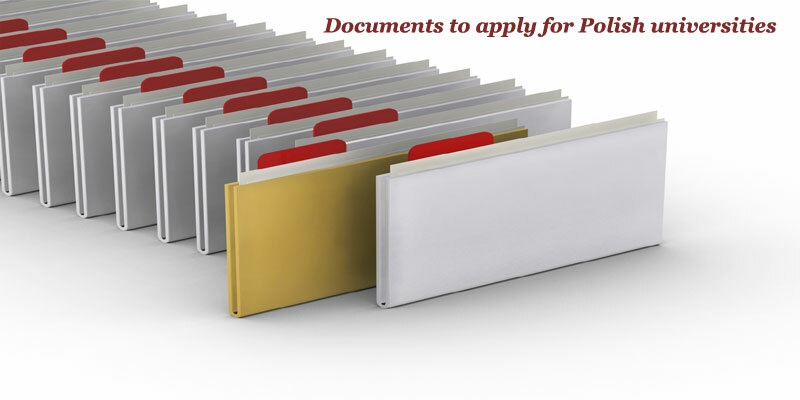 Generally, to apply for any University in Poland you need to send all the supporting documents to the University’s graduate admission office. But the requirements may change from university to university. Here we have provided the complete Checklist for Poland to be sent while applying to the Undergraduate and Postgraduate courses in any University in the Poland. By checking the below provided Checklist for Poland, organize all your documents before applying for admission in any University in the Poland. Scan copies of all educational documents (10th,12th, bachelor degree certificate, individual mark lists, consolidated mark list). Work Experience letter (if available). For any admission in Polish Universities, you need to take the English language to tests to prove your efficiency in English. With these Test Scores, the Universities assess the candidate ability and skills to successfully complete the course. For any Course like Master’s or Business Program, you can take some popular English Language Tests like TOEFL/IELTS/PTE. Bachelor’s Degree with year wise/semester wise Marks lists. Bachelor’s Degree consolidated memorandum of marks. Bachelor’s Degree Provisional Certificate and Degree. Masters Degree with year wise / semester wise marks lists. Master Degree consolidated memorandum of marks. Masters degree provision certificate and degree. Final semester project work details. If you have any additional documents like Paper presentations, Your organizing skills in your symposiums, etc. you can also submit them along with the documents mentioned in the Checklist for Poland. It will be the smallest award to push your application a little harder. So send your certificates that will explain your talents and extracurricular activities you’ve undertaken. After receiving your application the university will verify the student documents or profile and will send you the offer letter. If the Student does not meet any requirement of university or Genuinity of a student is doubted they will reject the application. Once you have received the offer letter you can apply for the Student Visa by submitting the required Documents.